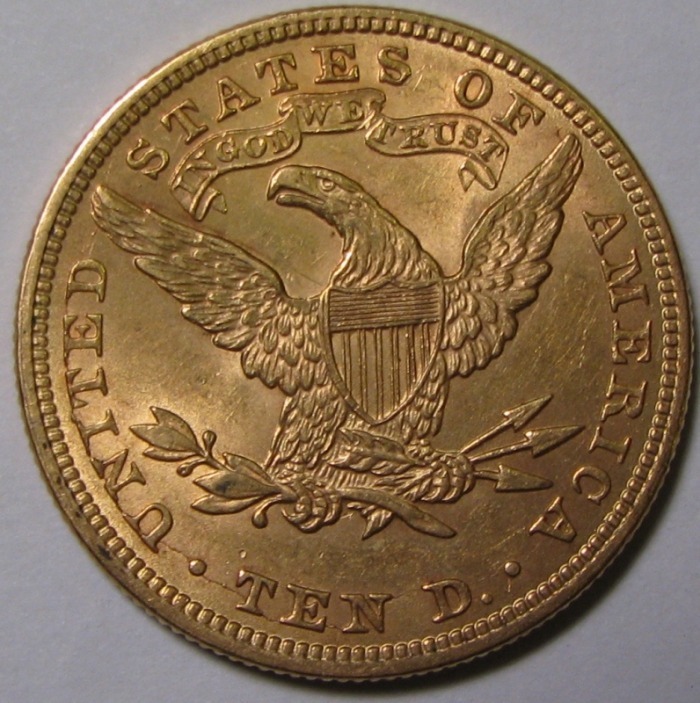 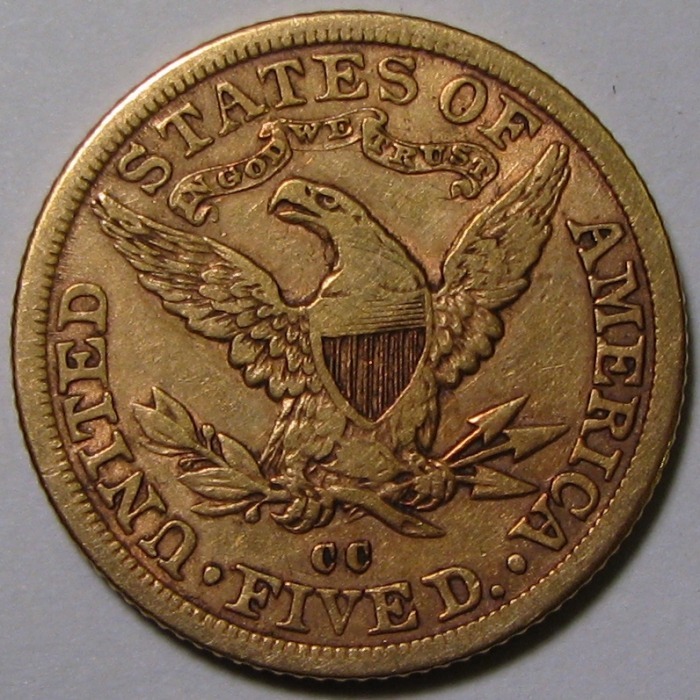 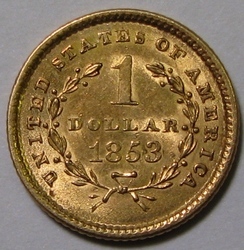 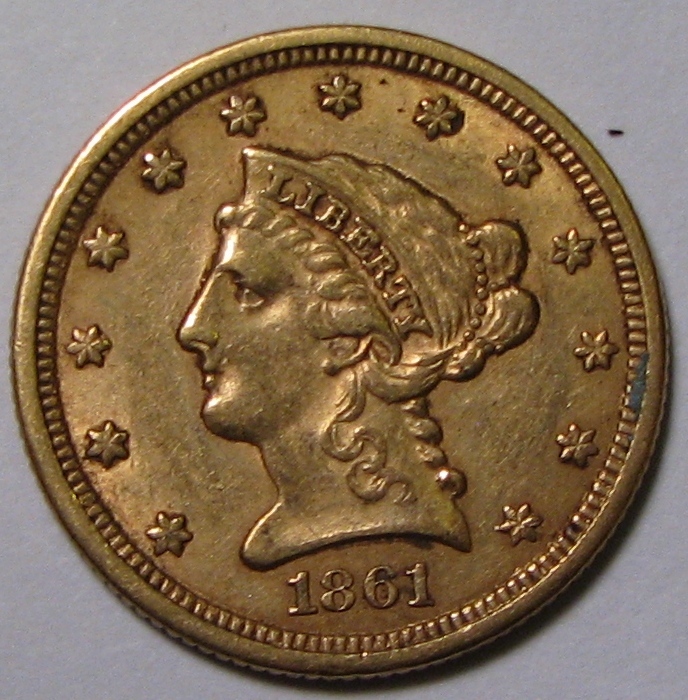 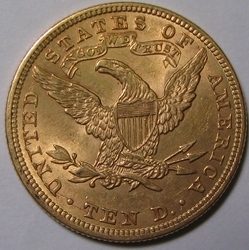 Over the years, I've sought out examples of our nations gold coinage. While some people collect these coins by date and/or mint mark, I have contented myself with collecting one example of each denomination. Pictured below are 1, 2 1/2, 3, 5, 10 and 20 dollar gold coins in my set. 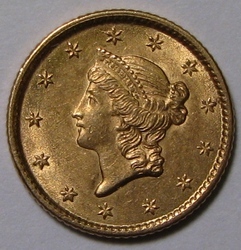 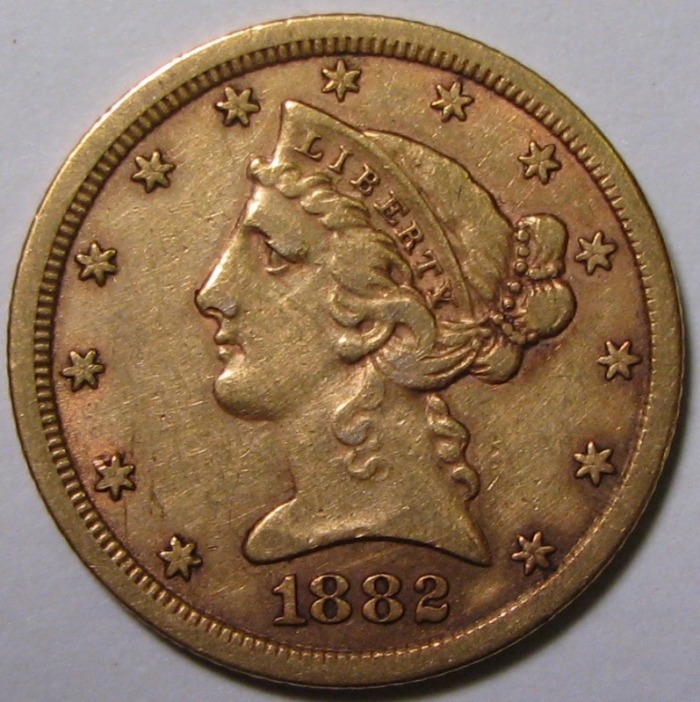 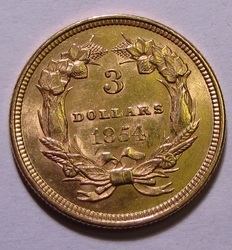 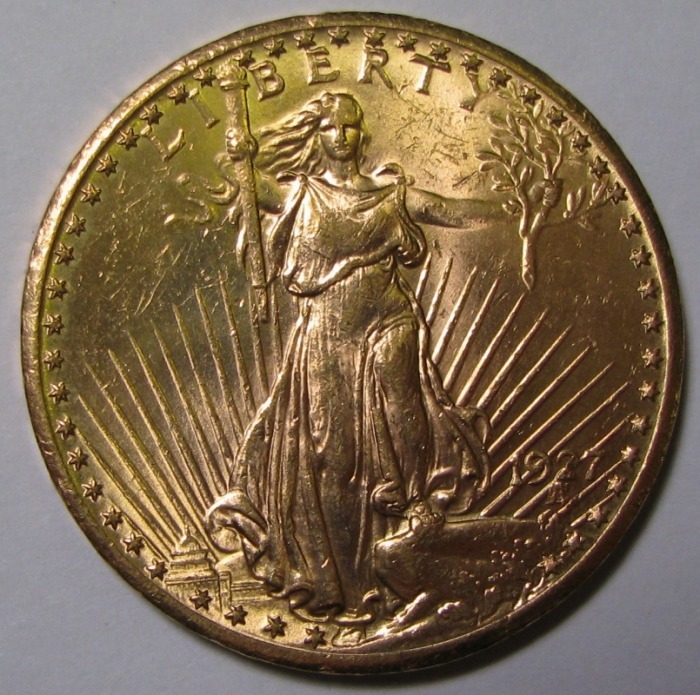 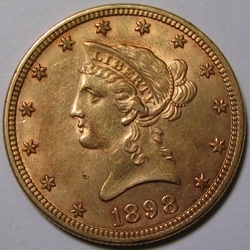 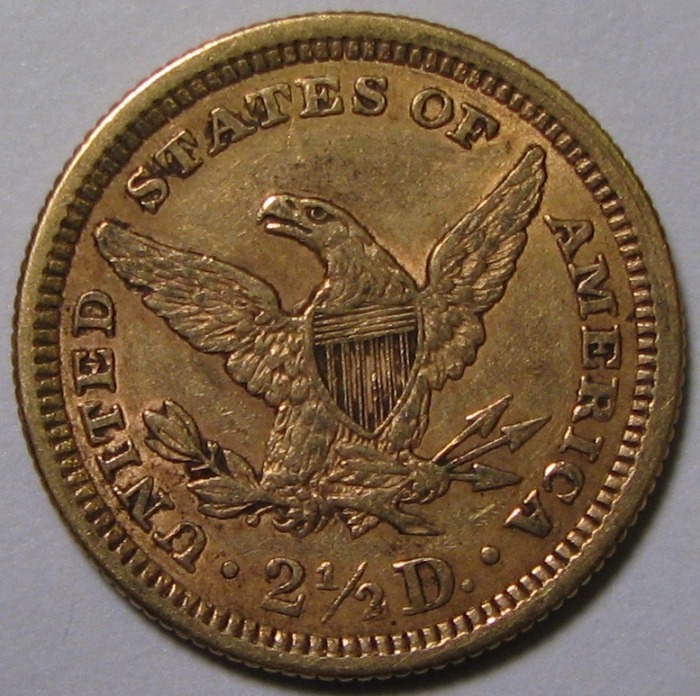 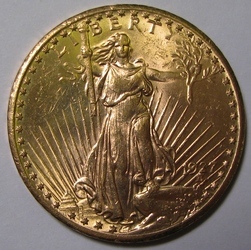 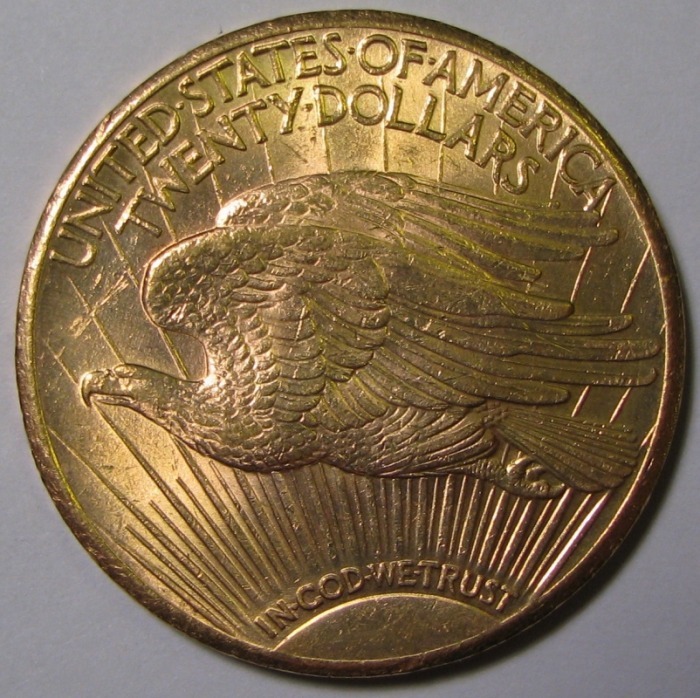 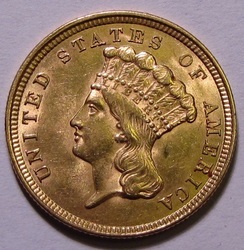 The $3 gold piece is a favorite of mine; most non-collectors have no idea the U.S. minted a $3 coin. I sent this one out to PCGS and got it graded AU55, so a very nice example!